Updated 10/31/10 - THANK YOU for all who voted, we were seleceted as the "Top 5 Wedding Cakes" in the Best of Western Washington poll! As a thank you, we'll be hosting a customer appreciation party in early 2011. Stay tuned for more information! 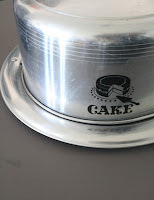 Vote for us in the 'Best Cakes' category for the Best of Western Washington! Cupcake Giveway - Thanks for Playing! Our lucky winners have been drawn! Thanks to all who joined our mailing list! Don't worry, there will be plenty more contests, free cupcakes, and other fun giveways! Stay tuned for our first post regarding the trailer renovations, they started this past weekend! Thank you all for following! The title says it all, we are giving away cupcakes! Join our mailing list between now and April 5th and one lucky winner will be chosen at random and will win a dozen free cupcakes! (update 4/5/10, winners have been selected but please join our mailing list anyways!) 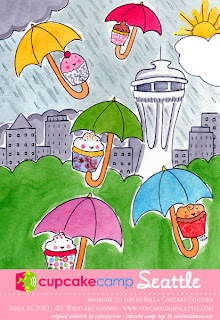 Winner will be notified and you can pick up your cupcakes at CupcakeCamp Seattle! Why: Because who doesn’t love cupcakes?! * the winner will be notified by email on April 6th, 2010.
fine print: this offer has no cash value and can not be redeemed for anything besides cupcakes or a substitution chosen by The Radical Cupcake. This offer is transferable to someone else as long as they live in the Seattle area and can pick up the cupcakes, as agreed upon by all parties. I’ve been fascinated with “old stuff” for as long as I can remember and have collected vintage objects and artifacts for years. 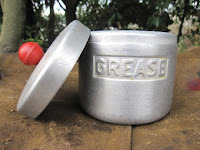 From musty cigar boxes to vintage food tins, I love the aesthetic and story behind the dusty treasures. As a child, I even dreamed of being an Egyptologist (really really old stuff) and that dream (partially) came true after graduating with both Environmental Studies and Anthropology/Archaeology degrees. Building upon the collection of “old stuff” that I already have, I’ve started expanding my collection specific to the mid-century era vintage kitchen ware. 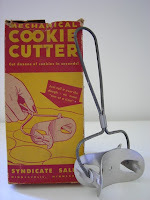 [“Mid-century” is the time period from approximately 1933/37 to 1963/65 (exact era dates depend on who you ask); I’m focusing my search on post WWII to mid-1960 objects.] My recent acquisitions are shown below, a lovely assortment of aluminum & melamine kitchenware. Aluminum kitchen appliances and accessories flooded the market post World War II since many manufacturing plants had retrofitted their equipment to produce aluminum products in support of the war effort. 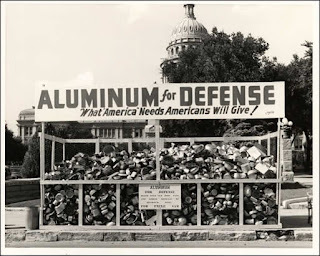 Aluminum was rationed during the war; in fact, in some cities aluminum scraps were collected to be used for civilian purposes so that the first-grade aluminum would be available for airplanes and other defense needs. 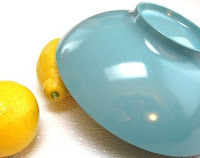 Melamine also has a historical connection with WWII – the plastic compound, when combined with certain chemicals then exposed to a heating and cooling cycle, is virtually unbreakable. The durable dishware became a popular choice for the U.S. military, specifically Navy ships. 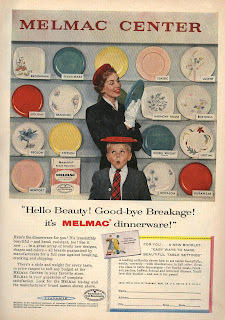 Melamine conveyed a very modern aesthetic to the mid-century housewife and thusly became a staple in kitchens nationwide. 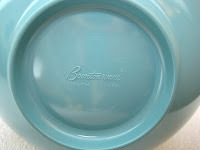 Several popular manufacturers can be identified as distinct mid-century providers of the very collectable & colorful resin products: Boontonware & Mallo-Ware. Be sure to come back soon for more photos and my recent vintage acquisitions! Thanks for reading! This has long been planned but with the right resources, timing, and support tRC is making it happen! 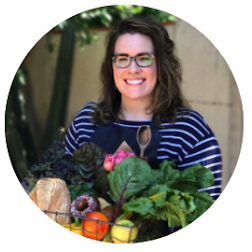 Please check back soon for updates - this blog is the source for real time, up to date information about the Mobile Organic Bakery (the 'MOB')'s progress! Thanks to all who view, read, peruse, and blog about this blog!